Aziz Ansari is in just for the formalwear! — Aziz Ansari, "Master of None"
Who wore Blue Best at the Grammy's 2015? t the 2015 Grammys, the guys were out in chic shades of navy (sorry gray, better luck next year). Ryan Seacrest was one of the earliest cobalt wearers on the scene, hosting E! Live from the Red Carpet in a navy suit jacket, black bowtie and slim-fitting pants. LL Cool J sported a similar look featuring an indigo jacket with black lapels. Have you ever watched (or attended?!?) the Oscar’s? You’ll see a lot of women in fancy evening dresses that look very different, and you’ll see a lot of men dressed in swanky tuxedos that look very much alike. This is by design. Traditionally for very formal occasions, men basically wear a timeless and very masculine uniform known as Black Tie, which ensures they look great, but in a way that doesn’t compete with or steal attention away from the women they’re with. But Black Tie isn’t exactly a uniform. It’s more of an art form. It’s just that tuxedos vary much more subtly. 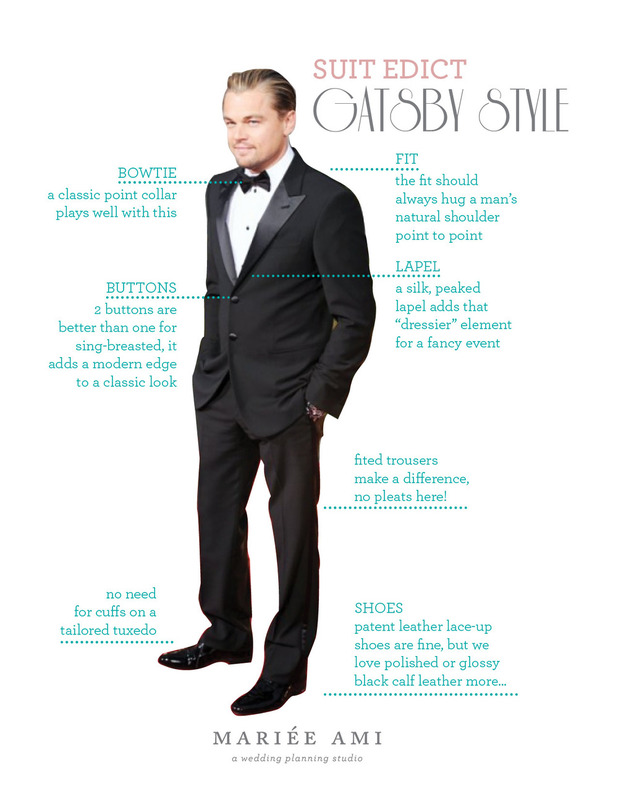 There are actually several elements that differentiate one tuxedo from another. One of those elements is the type of lapel. There are three different lapel types that tuxedos incorporate, and they each send a slightly different message about the tuxedo that’s being worn. You’ll find one these three basic lapel types on nearly every tuxedo, with the exception of an occasional trendy fashion tuxedo that has a mandarin collar and no lapels. Of course there are also variations on these lapels. A tuxedo coat may have a pleated or double lapel, a self lapel with satin trim, a satin lapel with self trim, etc. But the basic shapes are always there. Knowing not only the physical difference between the types, but also the difference in formality will considerably up your game for your next formal event! Proudly made in the USA, this tuxedo is midnight blue, with black satin shawl lapels and a 1 button front. Tailored to modern apparel trends, the Midnight ‘Maxwell’ is a modern fit featuring higher arm holes, a slightly shorter length (30.5in), and a tapered waist designed to present a more refined silhouette. It is available with either matching midnight pants or with black pants. 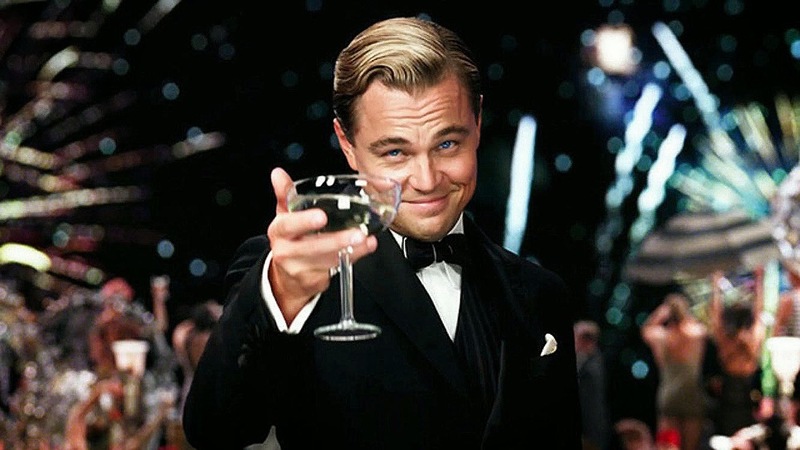 ‘The Great Gatsby’ by F. Scott Fitzgerald is a classic tale of romance, tragedy, and opulence. In a way, the story itself depicts a setting as much as it does the characters. The story takes place in the ‘Roaring Twenties’, a prosperous period in America leading up to Prohibition that was marked for wild and extravagant parties. Because of this, the film features no shortage of very classy, very timeless formal wear! In December, the 6th film adaptation will hit theaters. The film is directed by Baz Luhrmann and stars Leonardo DiCaprio. Sartorially speaking, this film is significant for two reasons. The first is obvious. With a large array of formal wear playing such a large role in such a classic story that will reach such a large audience, this is the sort of thing that can set trends, or restore them. While I doubt that the release of the film will single-handedly see a return to white tie or black tie attire, I do think that the fun side of being formal will begin to percolate through the minds of our culture. A film like this can remind people that tuxedos aren’t just a uniform to be dutifully worn to a friend’s wedding, nor an uncomfortable encumbrance. A tuxedo in this context can be a thing that makes fun times better. The second reason that this film is important is because of the setting. The ‘Roaring Twenties’ were a long time ago. To be exact, the beginning of this story takes place in 1922, exactly 90 years from today. But as you can see from the pictures above and the trailer below, the styles they wore then still look smashing today! It’s a testament to the black tie standards we’re always going on about. Some styles come and go, while other styles stay put. That’s because when you get it right, it’s timeless. Classic formal wear is timeless. 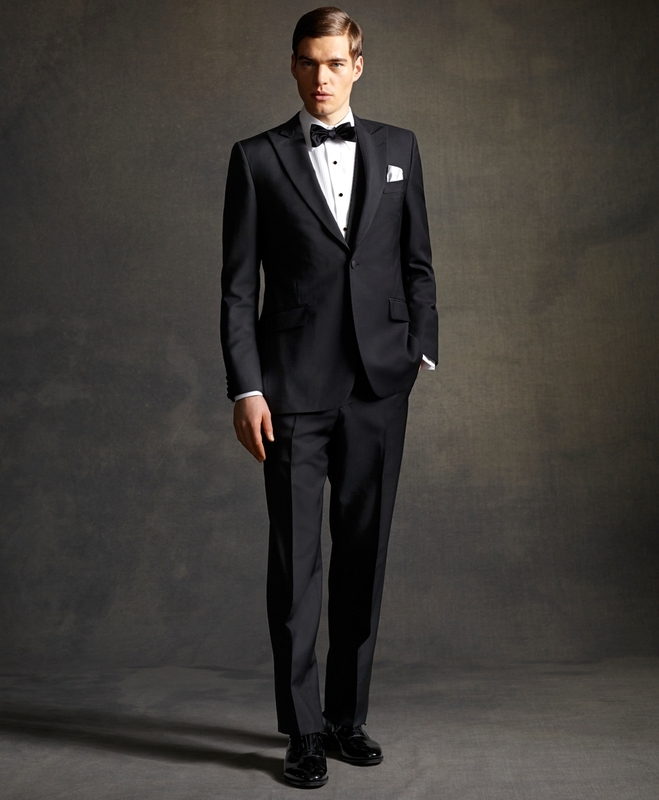 Traditions like Black Tie date back over 125 years ago. White Tie attire dates back significantly farther. And both of these traditions are still present if not prevalent and largely unchanged in today’s culture. But when we look back at examples of these timeless styles in the past, the black and white pictures themselves seem distant from us.